OverviewRescue the injured and extinguish fires in this 3D platformer from Sonic Team. 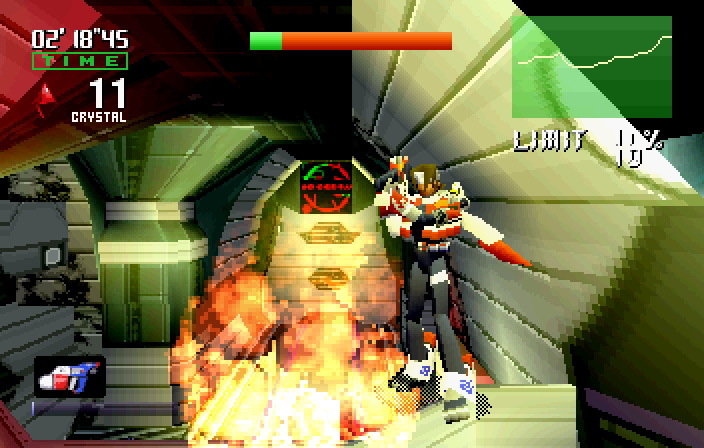 Burning Rangers is a painfully short (>3hrs) almost-Sonic game developed by Sonic Team with incredibly cheesy voice acting, cut scenes, and music. 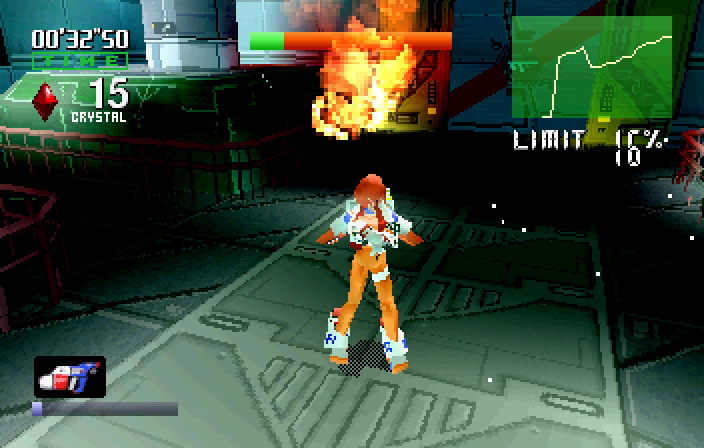 The game focuses around the player being a futuristic fire-fighter whose task is to fight fires and save people from said fires without getting overly burnt. 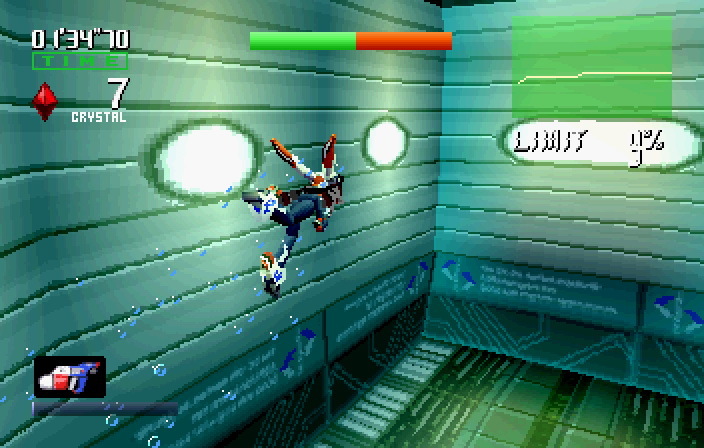 This is an almost-Sonic game since the player's health system works just like a Sonic game. Collect Crystals to get more points. Take damage, all your crystals come popping out and you can collect some (maybe all) of them back. 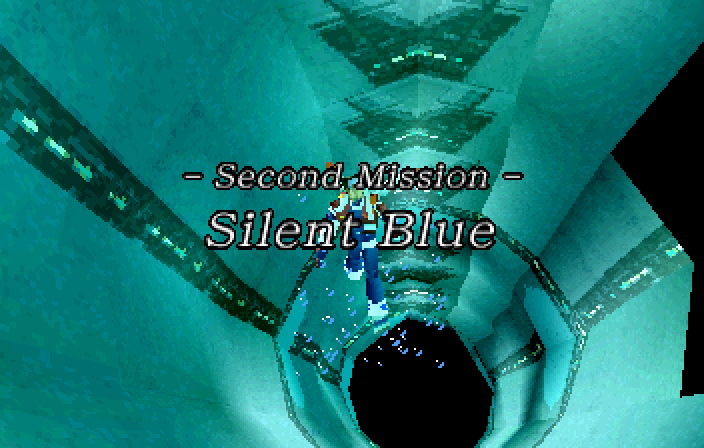 And boss battles can sometimes boil down to hanging on to that one last crystal. You are also under the constant pressure of a time limit, or rather, of the building succumbing to the fire hazard and an explosive chain of fires being unleashed upon you if you move too slowly in fighting environmental fires. 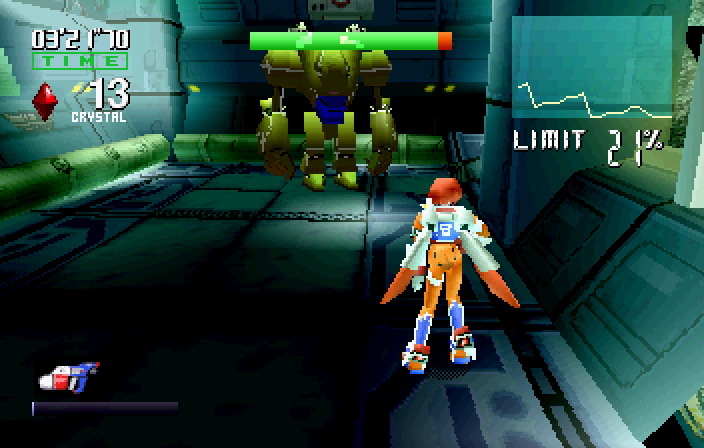 This time pressure is kind of unfortunate as there is a lot to explore in some of the levels. 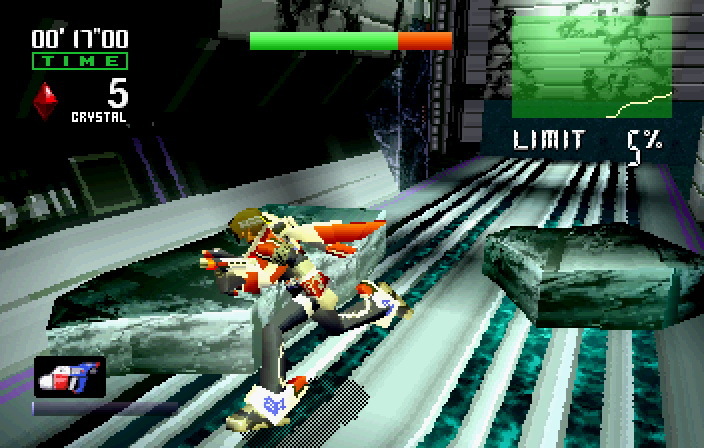 This is a fully 3D game however, and on a real saturn and real saturn pad, the controls and unstable frame-rate take some getting used to. And therein comes a problem: The game is not long enough for you to get used to it! Seriously! You just start getting into the groove, learning to love the game, AND THEN IT ENDS! Overall though, because it is so short and relatively good, it is worth checking out. 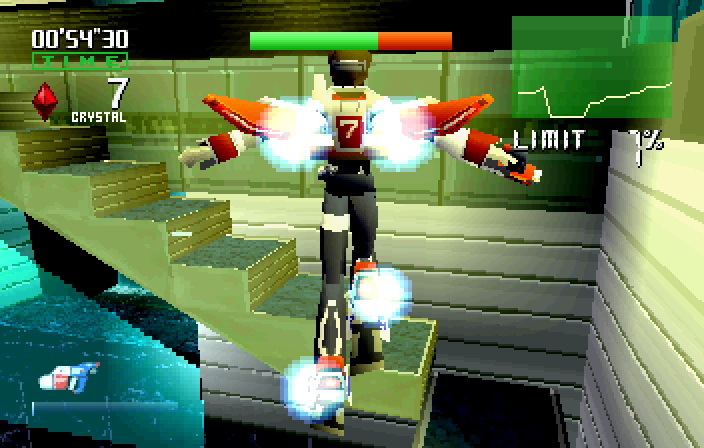 Don't feel bad if you have to limit yourself to digital controls, that's how I played it, and while it takes a fair bit of learning don't worry.. the game probably isn't long or hard enough to get all that frustrated over. 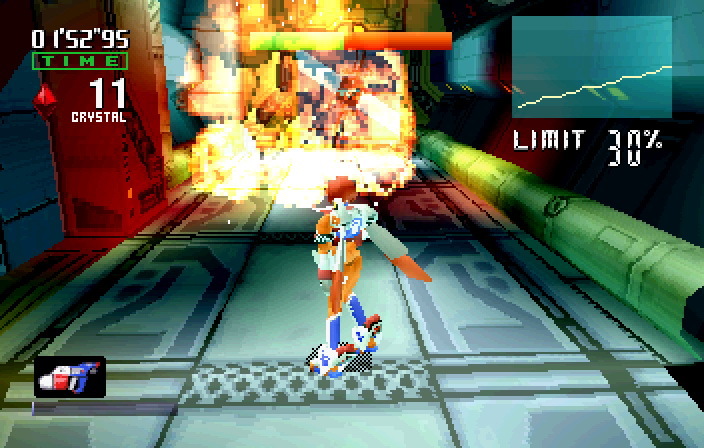 Burning Rangers is a 3D action game developed by Sonic Team that focuses on futuristic firefighters. The player can choose between two different characters to play as and the game centers around navigating burning buildings to save the citizens inside. The game has a ranking system for the players performance which would later be implemented into many of Sonic Team's other games. 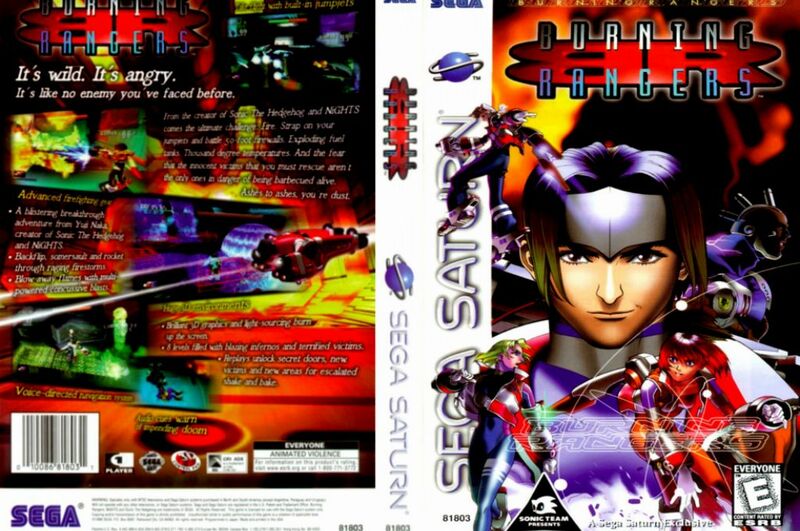 The game has yet to see any remakes and is only really remembered through small cameos in later Sonic titles so it may be worth the time to play this hidden gem when you have the chance. Now you can add videos, screenshots, or other images (cover scans, disc scans, etc.) for Burning Rangers (U) to Emuparadise. Do it now! If you haven't noticed yet, we have a retro game of the day feature (top-right of the screen) wherein we feature a new retro title every single day! Now, you can vote for your favorite games and allow them to have their moment of glory. Click on the button below to nominate Burning Rangers (U) for Retro Game of the Day.